Duration: The duration of the campaign in total was from November 2016- February 2017. 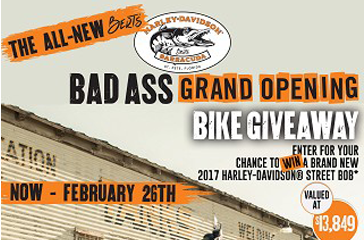 The Bike Giveaway took place on February 26, 2017, in honor of the Grand Opening of the new location, Bert’s Barracuda Harley-Davidson. Objective: Bert’s Barracuda Harley-Davidson set out to generate more leads to grow their mobile club for their new location for a 10 day event. 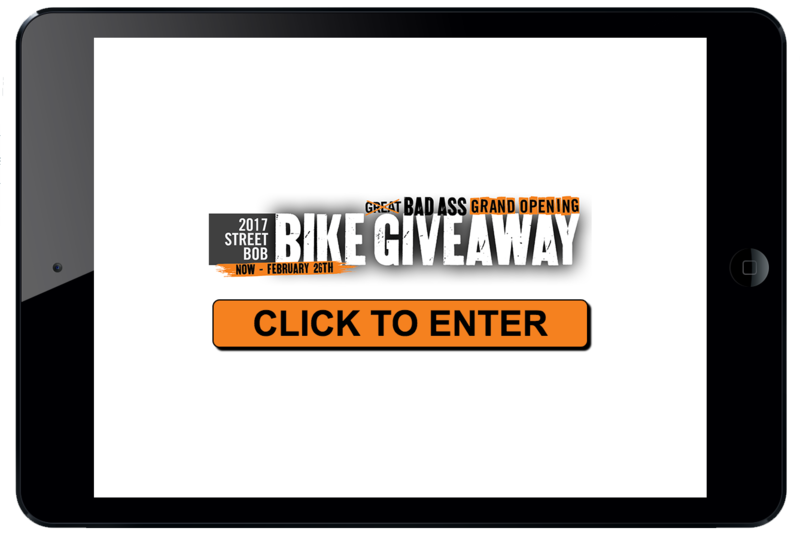 Strategy: To increase mobile sign-ups and lead generation, 7 Media Group and Bert’s Barracuda Harley-Davidson teamed up to encourage potential customers and existing customers to sign-up for a chance to win a 2017 Harley-Davidson motorcycle worth roughly 14k. Call to action: Through the in-house, social media, website, direct mail and offsite promotions of Bert’s Barracuda Harley-Davidson, customers had ample outlets for signing up for the event. 7 Media Group assisted in the event by providing 4 digital kiosks to sign-up for entry for the Bike Giveaway. These kiosks enabled Bert’s team the power to capture offsite entries at events during the promotion, such as Full Throttle Expo, where they captured 800 leads, and Weekly Bike Nights at Quaker Steak & Lube. Through the services 7 Media Group provides, a message was sent to all current members of the Bert’s Barracuda dealership database encouraging them to join the mobile club for a chance to win a 2017 Harley valued at almost $14,000. In order for the customer to win, they had to be present at the Bike Giveaway. “We felt like more people were very receptive to the in-store sign-ups, and with all the features it was easy,” said Molly Beaudin, Marketing Director of Bert’s Barracuda Harley-Davidson. Testimonials: So Why Media 7 Group?